Synopsis: Over the past several decades, Reformed theologian and biblical scholar James B. Jordan has produced a unique body of work. His electrifying commentaries and essays on Scripture, along with his penetrating writings on Trinitarian theology, liturgics, music, and culture have inspired a growing number of pastors and theologians. In this Festschrift, Jordan's friends and associates celebrate his contributions by applying his methods and insights to a range of biblical, theological, liturgical, and cultural questions. 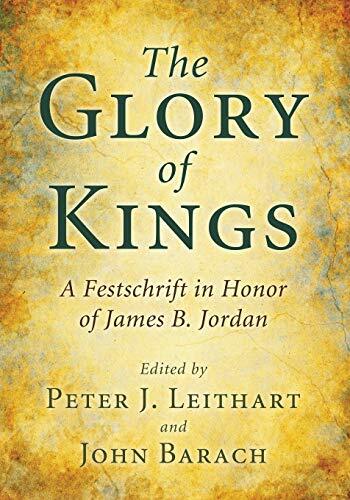 The Glory of Kings aims to bring Jordan's work to the attention of a wider audience and to introduce the work of a scholar that R. R. Reno has called "one of the most important Christian intellectuals of our day."